Together with other members of the Fenland Craft Guild. 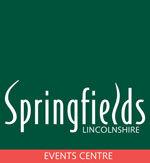 You can check www.springfieldseventscentre.co.uk for more details. If you wish to have a stand or exhibit at the show or for further information please contact the show administration office. Ayscoughfee Hall Museum is a Grade II* listed Medieval Hall in Spalding, set in 5 acres of beautiful gardens. There's always something to see and do at Ayscoughfee, including a Craft Fair over the Flower Parade weekend, featuring a wide range of locally handmade crafts. Refreshments will be available all weekend at the popular Pavilion Café, along with a concert by Spalding Brass Band on Sunday 1st May (2pm - 4pm). Lincolnshire has one of the finest collections of mediaeval churches in England and many of South Holland's churches have flower festivals in the spring and summer. As well as wonderful floral displays many of the churches have refreshments available, local produce, crafts and music. For more information about South Holland Churches Flower Festivals or in order to receive a map brochure get in touch with us. Regular entertainers at the Flower Parade since 1982, the men of Peterborough Morris perform dances from the Cotswold villages in the town centre and Churchgate prior to the arrival of the procession. New members are welcome any time. Just go to Peterborough Morris. Join in the fun with at Spalding's first ever outdoor foam party! Live bands and DJs will be performing throughout the day. Held in support of local charities. On Sunday May 1st Moulton Chapel will once again be filled with visitors enjoying the attractions this friendly little village has to offer. 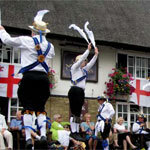 Stalls, decorated church and chapel, street entertainers and of course the traditional Parade combine to provide a great afternoon out for all the family. Performances start at 1.00pm, with the Parade at 3.00pm. Food is available in the two pubs and light refreshments in the Chapel and the new Community Centre. Following the success of the inaugural Flower Parade Criterium in 2010, the Spalding Cycling Club will once again be a sight to see in Spalding on Sunday 1st May 2011. Town centre racing offers fast-paced, exciting racing for riders and spectators alike and riders will reach speeds of up to 40mph on the 1 mile circuit near Spalding's Parish Church . The aim of the race is to increase awareness of cycling and give the young riders of the region the opportunity to race in front of large crowds at a local event. As well as racing there will be free entertainment, live commentary, music, grandstand views and plenty of action as the region's top riders compete for cash prizes. If you would like further information about entering the race in 2011 contact Adam Ellis. Spalding is a bustling Georgian Market Town set around the picturesque River Welland. 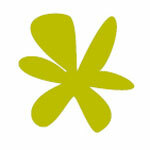 For more information on places to visit and things to see and do during your stay visit Spalding.